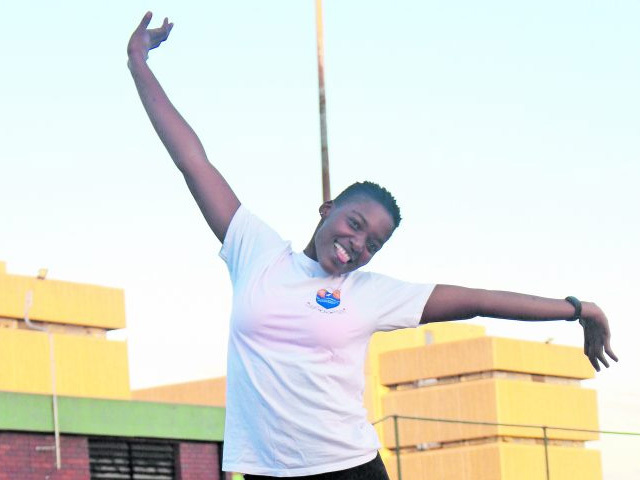 Mahlatse Lornah Magagane is an enthusiastic and talented netball player for Sefako Makgatho University’s netball team while completing a degree in BSc physiotherapy. Hailing from Ga-Mamabolo village in Limpopo, the second of four siblings believes sport is part of her makeup. Her family loves sports. Her father was a soccer coach and her mother still plays netball and continues to inspire her to this day. Playing all kinds of sports growing up, Magagane soon realised excelling in netball was one of her many talents. After completing matric, she decided to pursue playing netball while furthering herself academically, and is close to obtaining her degree in physiotherapy. Her personal achievements to date include playing for the Limpopo under-21 provincial team in 2016, as well as playing for her university team which took part in the USSA 2017 championship and won first position in the section C division. She’s set her sights on making the national team one day. Her drive to continue despite the odds stacked against her is testament to how far she has come. After twisting both her ankles in 2016, the young athlete was out of the game for a while. During that experience, she realised the importance of physiotherapy and fell in love with it as a means to help others in sport too. Apart from becoming a sports physiotherapist and playing netball for her country and internationally, she wants to give back to her people in the villages who are not afforded opportunities to succeed. She wants to leave a legacy that honours her father by opening a sports centre in her village. He has been instrumental in coaching her and encouraging her throughout her career. The centre will concentrate on sports development as well as providing options for people in her village to stay off the streets and build themselves up and fulfil their potential.